You can shop at farmers' markets year round! Donate here to help provide high quality, local food to families in need. Increase healthy, local food consumption for families utilizing SNAP. Help create a more equitable local food system. 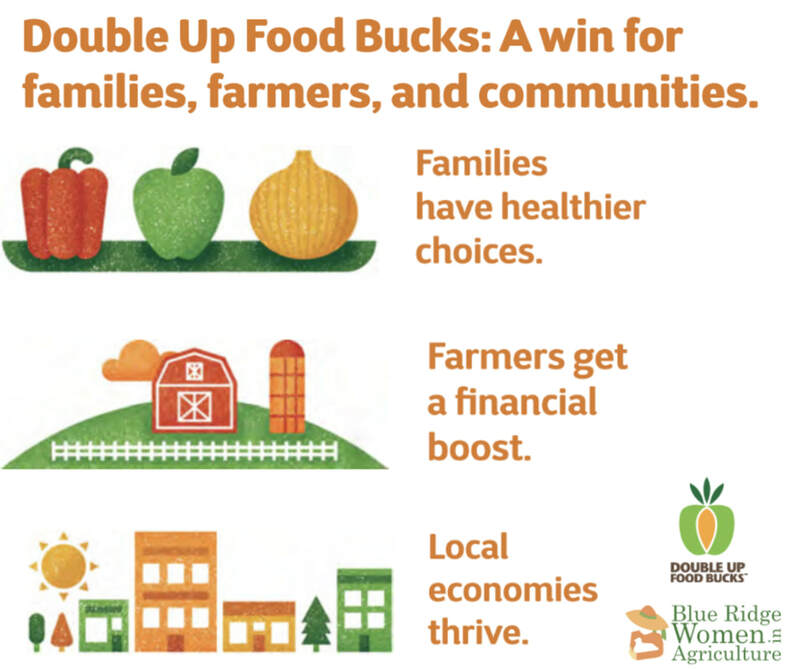 In 2018, the Double Up Food Bucks program was expanded from 1 to 4 farmers' markets in Watauga County and ​$21,144 of healthy, local food was brought home by 59 low-income families. 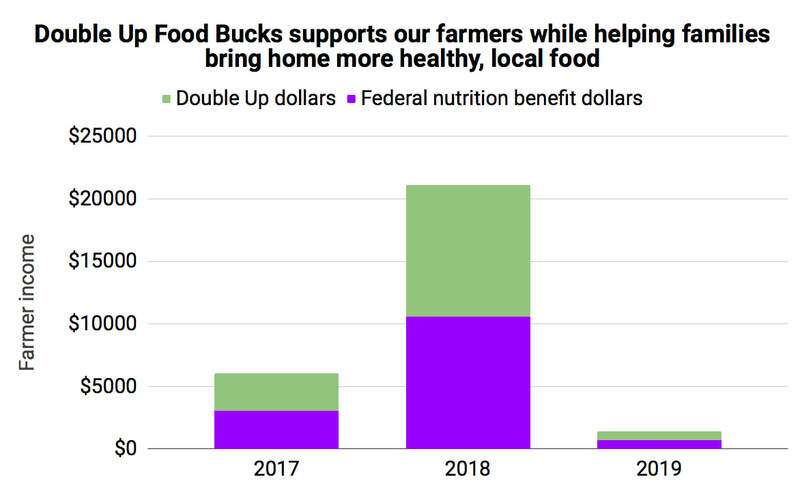 Farm businesses earned this much more in extra sales! Please help us make 2019 even more impactful by donating and/or spreading the word about the program to those who can use it!